But in the end the glass is half full. 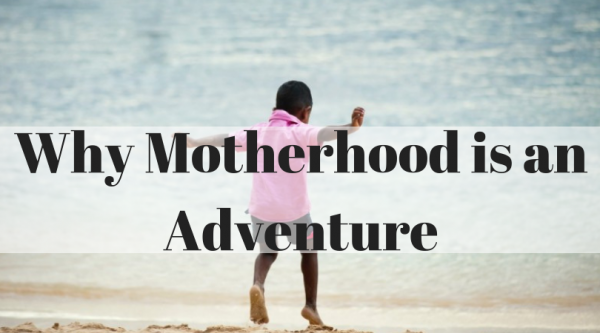 Being a mom is a full on adventure. You never know what each day will entail. So rather than harp on all the reasons why we are tired and busy let's list some reasons why it's all so worth it! Why wouldn't this be the number one reason why we do it all. Whether you planned it or not children are a gift. They are a reminder to be less selfish, to laugh, not take ourselves so seriously and to enjoy each moment in real time. There is no manual to motherhood. There will be lots of ups and downs. The huge win when going through the downs is when you finally resurface you would have learned so much more about yourself and others. The key is not to dwell on what could have been but to focus on how you will use the down to better yourself. One of my favorite things about being a mom is having the freedom to be silly and creative like children are. Usually by the time they are 10 "tweendome" settles in they've don't care about the silly stuff but until then single digits are free rein. My favorite memory (and I am probably dating myself) is watching Bear in the Big Blue House with my oldest. He loved that show. We would sing the songs together, play with his plush bear, draw pictures of bear and laugh! Reason #4: All the place you will go!